Coffs secret: Emerald Beach (photo: Elise Hassey). 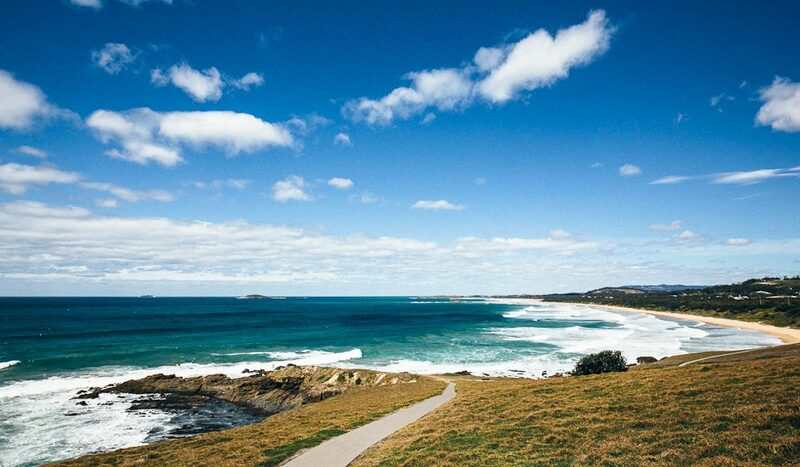 Around 20 minutes past Coffs Harbour and a well-known Aussie construction (think big, yellow and banana-shaped), you’ll come across the delightful coastal towns of Emerald Beach and Woolgoolga with secret beaches to rival Byron’s best. Make your way to the headland of Emerald Beach with picnic basket and rug to soak up some sunshine while taking in the panoramic views of surrounding shores. When it’s ‘busy’, you might spot a few people strolling along the sand keeping an eye out for a playful pod of dolphins. If lunch isn’t prepared, Saltwater Café (the only café in town) will fix you up while you enjoy, you guessed it, more stunning ocean views. Alternatively, just around the bend is arguably the best fish and chip shop on the east coast, maybe even Australia (the reviews on urbanspoon.com can vouch for such claims). 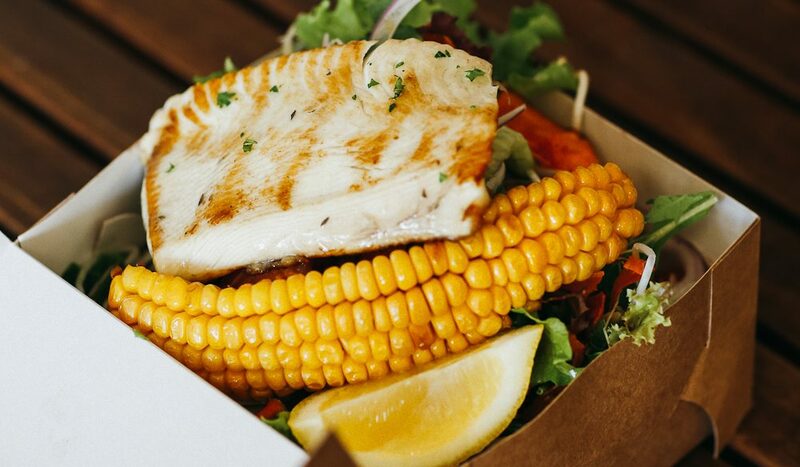 Woolgoolga restaurant White Salt has called the main street home since September 2011 and owner Max Hutchinson will be on hand to prepare a feast of daily-caught fresh fish. The grilled black snapper with chips or salad and wasabi tartar sauce is a must, and Max’s incredibly lovable pooch Riley will keep you company as you lick the bowl clean. The mexican restaurant, ‘La Hacienda’ in Emerald Beach is THE BEST!! Everyone raves about it. They make the best dessert… chocolate nachos!